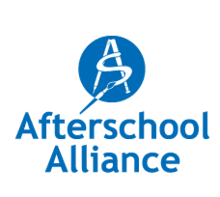 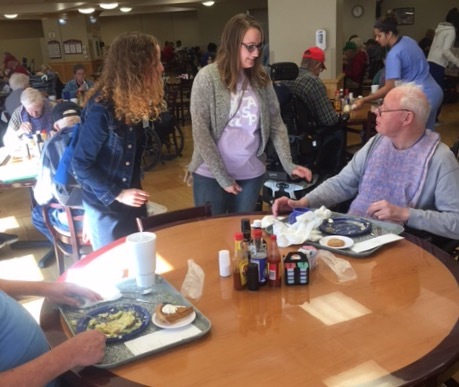 Community After School Program AmeriCorps members , staff, and children collaborated to thank and recognize Norman area veterans for their service on Veterans Day 2016. 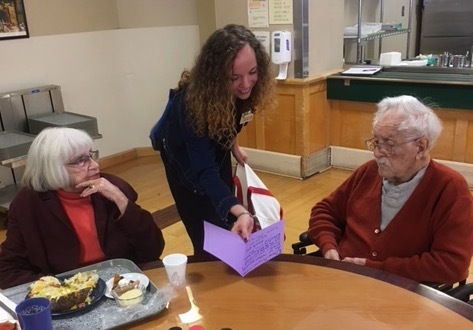 Site Directors and site staff used this as an opportunity to educate the children on military service, wartime history, and American democracy. Staff guided children as they completed thank you cards that included personal messages, poems, and drawings. 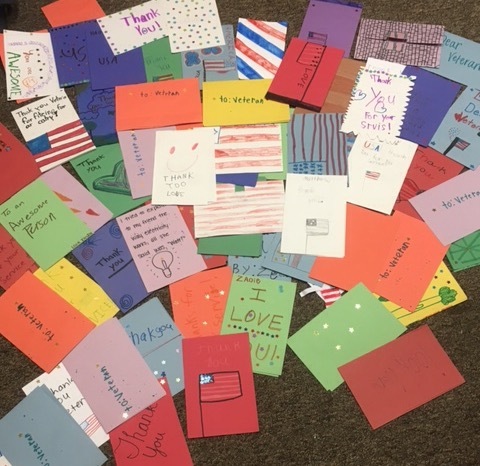 On Thursday, November 10, a total of 86 cards were delivered to the Norman Veterans Center. 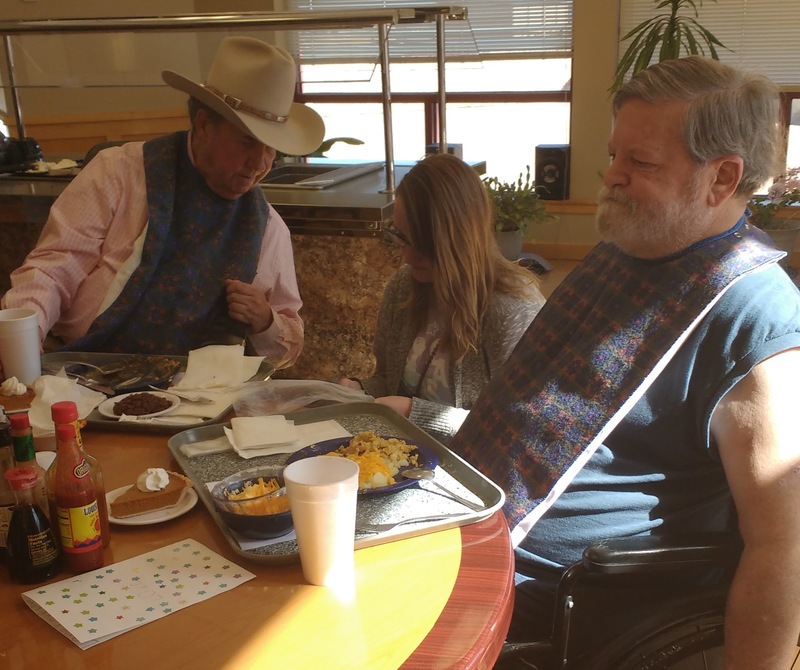 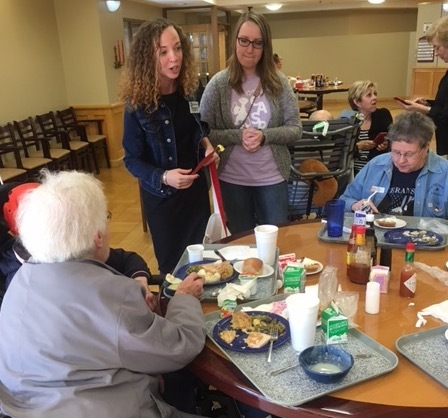 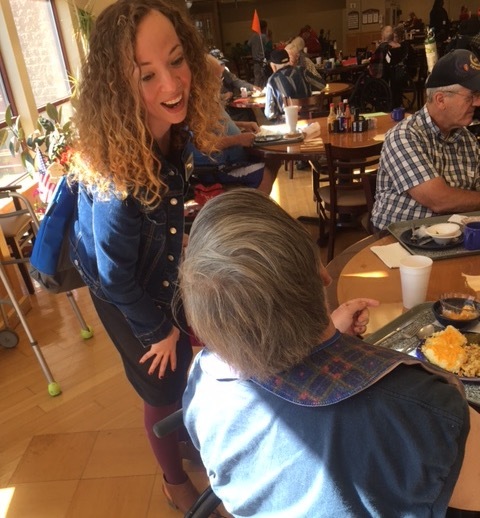 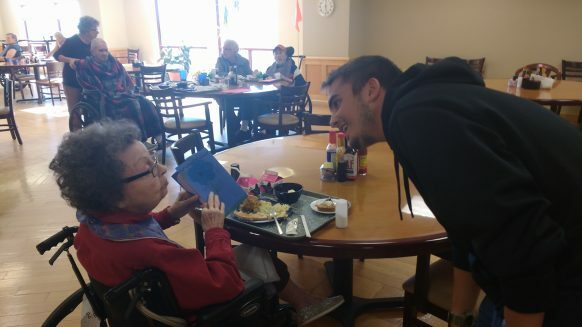 CASP AmeriCorps members Julie Dunham, Madeleine Stucky, and Hunter Zearley spent time with veteran residents of the Norman facility during their lunchtime in the dining hall. 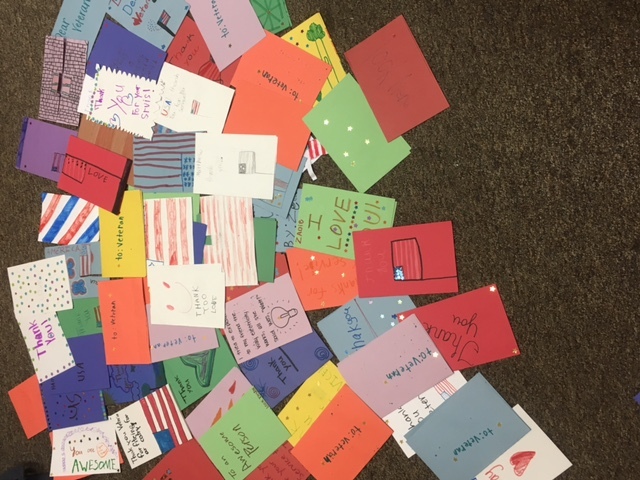 CASP AmeriCorps member Manny Herrera delivered an additional 98 cards to inpatient residents and outpatients at Oklahoma City’s Veteran Affairs Medical Center and 75 cards to the south Oklahoma City/Moore Veterans Clinic to be shared with their outpatients.